Sometimes, great components enter our lives with little fanfare. 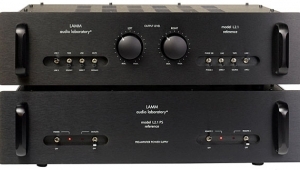 Thus, by happenstance, did Lamm Industries' L2.1 Reference preamplifier ($22,790) end up in my reference system. The story began at the 2018 Consumer Electronics Show, in Las Vegas, when John Atkinson and I visited Lamm's oversize suite on a high floor of the Venetian Hotel. Our intentions were twofold: to report on what we heard and saw, and to sniff out products for me to review. 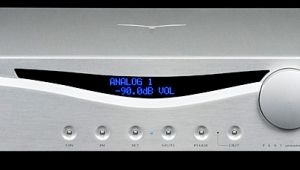 We found one likely candidateAQ Technologies' Aqua Formula xHD D/A processor ($16,500), which I reviewed in the June 2018 issuebut realized that I'd need a preamp to control volume. 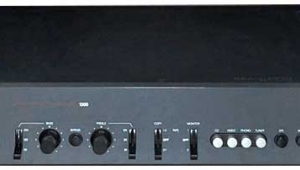 John immediately suggested the Lamm L2.1 Reference preamplifier, which he described, with a knowing smile, as "a very good preamp." 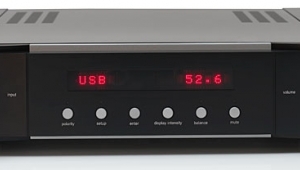 In terms of price, the L2.1 seemed an appropriate complement to my reference system: dCS Rossini ($23,999) or Vivaldi ($35,900) DACs, Dan D'Agostino Master Systems Progression ($36,000/pair) or Pass Labs XA 200.8 ($45,000/pair) monoblock power amplifiers, Wilson Audio Specialties Alexia 2 loudspeakers ($57,900/pair), and ultra-transparent Nordost Odin 2 interconnects and cables. That my system lacked a preamp was not accidental. 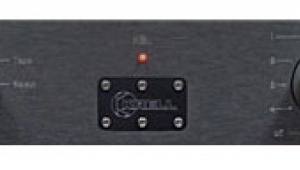 More than 15 years ago, when the Theta Digital Generation VIII became my DAC-preamplifier, Theta's technical director, John Baloff, told me that the Gen. VIII's internal preamp would result in better sound than running it through an external preamp. That was certainly the case when I connected the Theta to the Bruce Moore preamp I had at the time. 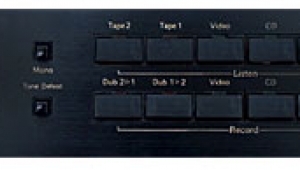 Since then, I've tried only one other preamp with the dCS DACs that have replaced the Gen. VIII, but what I've heard has convinced me to stick with the volume controls in the dCS components. 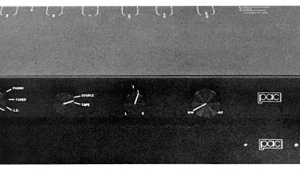 When Vladimir Lamm sent me a review sample of the L2.1 Reference, I hadn't recalled that Art Dudley had already given it a glowing review. After listening to Jascha Heifetz's famed speed-demon recording of Mendelssohn's Violin Concerto in e, with Charles Munch and the Boston Symphony Orchestra (CD, RCA Living Stereo/JVC JMCXR-0010), Art wrote that "the very clear, open-sounding Lamm . . . nailed the tone and texture of the bassoon's sustained note that bridges the first and second movements," and depicted Heifetz's violin tone as "supple, limber, delicately colored and textured, and with every iota of his legendary intonation in clear, full measure." 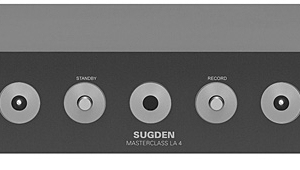 Calling it "a damn good preamp," Art enthused that it "ranked with the very best preamps I've heard in its ability to convey musical drive and propulsion, and to decode the sheer exhilaration hidden in some recordings." 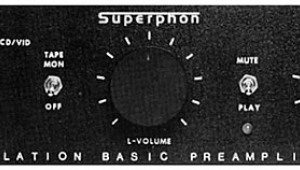 JA's measurements seemed to support Art's conclusion; he said that the L2.1 is "well engineered," with "extraordinarily low" distortion, "excellent channel matching," "superb" channel separation, and "extraordinary linearity for a circuit that is said not to use loop negative feedback." 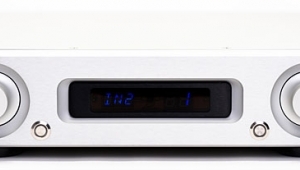 After finishing my review of the Aqua DAC, I wanted to hear if pairing the L2.1 Reference with a dCS front end would leave me as enthused with the Lamm as Art had been. But first, I had to figure out how to optimize my system to ensure a fair listening experience. My Grand Prix Monaco equipment rack had only four shelves, on which I had to fit the L2.1 and its equally sized power supply, as well as the dCS Scarlatti clock and Paganini transport and a dCS Rossini or Vivaldi DAC. 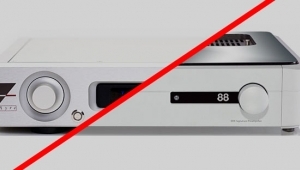 And since, if I wanted to play digital files, the Vivaldi would also require a dCS Network Bridge, using the Rossini instead cut the total of boxes by one. But that still left five boxes for four shelves. Considering potential equipment interactions, I ultimately gave the L2.1's power supply a shelf of its own, and placed the L2.1 proper several shelves away, atop the very solid Paganini transport. 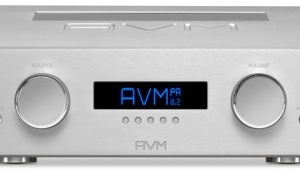 Given that when I use the Vivaldi, I regularly stack the Network Bridge atop the Paganini and experience no loss in sound quality, I felt this would prove a sound choice. For further insurance, I tried a number of different vibration-isolating support feet between Paganini and L2.1. While many of these increased the sense of air in the sound, they either darkened the top end or negatively affected image focus. The Lamm preamp sounded best when resting directly atop the Paganini. I even tried swapping out preamp and power supply, placing the latter atop the Paganini, but heard no difference. 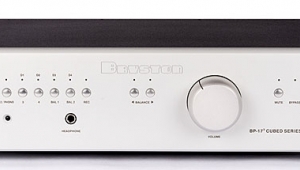 Next, I settled on pairing the Lamm with two very different amplifiers: the Bricasti M15 stereo power amplifier ($18,000), my review of which appears elsewhere in this issue, and the D'Agostino Progression monoblocks. The Progressions are the most focused, detailed, and dynamic amps I've ever heard in my reference system, and deliver the tightest bass and the airiest soundstages. 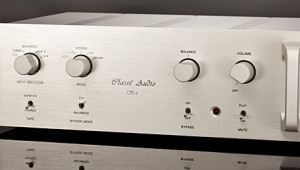 As described in my review of the Bricasti M15, the Lamm L2.1 acquitted itself admirably between that power amp and the Rossini DAC. It brought out more air, heightened colors and undertones in voices and instruments, and enhanced musicality with, to my sensibilities, a natural-sounding warmth and weight. I felt more emotionally involved with every track I listened to. With the sassy, brassy title track of Sarah Vaughan and the Count Basie Orchestra's Send in the Clowns, a studio recording (Pablo/JVC-XRCD VICJ-60246), the L2.1 did a bang-up job with percussion, restored the horns' natural bite and heat, and enhanced the three-dimensionality and musical intensity. Win-win all the way. With the D'Agostino Progressions, the L2.1 didn't quite pull off a slam dunk. In Alban Berg's atonal, often brutal Three Pieces for Orchestra, in the recording by Michael Tilson Thomas and the San Francisco Symphony (24-bit/192kHz WAV, SFS Media/HDtracks, SFS Media/Primephonic), complex and multilayered bass lines are complemented by blasting horns and pounding percussion. The L2.1 added spaciousness while softening, just a bit, the leading edge of attacks. (There are a lot of attacks in this music, which presages the horrors and devastation of World War I.) It was as though I'd moved to a seat farther back in the hall, where natural acoustic rolloff softens treble bite, color saturation, and focus without noticeably affecting the bass. To further test the L2.1's reproduction of bass, I turned to of "Laptevinmeri" (Laptev Sea), from Pan Sonic's Katodivaihe (Cathodephase) (16/44.1 WAV files, Blast First Petite 006)and "Limit to Your Love," from James Blake's eponymous album (16/44.1 WAV, A&M 949999). 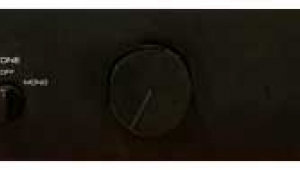 While I heard no difference in the size and depth of these recordings' room-shaking bassthe L2.1 excelled at bass reproductiontheir vibrant highs and overall transparency were greatest without the Lamm. While reviewing Alexander Melnikov's Four Pieces  Four Pianos (24/96 WAV, Harmonia Mundi 902299), in which the differences between the sounds and dynamics of the four different pianos used to record masterworks by Chopin, Liszt, Schubert, and Stravinsky could not have been greater, naturally ringing highs were brightest and most impactful without the L2.1. By that, I don't mean that the L2.1's presence was detrimentalgiven how forcefully Melnikov often plays, the Lamm made listening to this album a bit less overbearing and fatiguing by softening the ring of these period instruments. With the L2.1 in the system, I felt more transported than assaulted. Lastly, with Masaaki Suzuki and Bach Collegium Japan's recording of Mozart's Great Mass in c (SACD/CD, BIS-2171), the L2.1 lent a modicum of delicious, extra warmth to soprano Carolyn Sampson's heavenly rendition of "Et incarnatus est." At the same time, the natural edge on her voice, which I've heard in concert, was toned down and softened a smidge, and instrumental lines were a touch less distinct. Given that the midrange was concomitantly warmed and fattened a bit, Sampson's voice shone less brightly, and the sound was less transparent. It felt like I was listening through a scrim, with edges softened just enough to afford a romantic take on music that, in this case, was performed on period instruments without romantic bias. This is not necessarily a bad thing. While I expect this reference will date me a bithey, so does lifeconsider director George Cukor's treatment of Greta Garbo in the film Camille (1936). In close-up, filmed through a scrim, Garbo's titular, tubercular courtesan appeared even more sympathetic and breathtakingly beautiful than she might have otherwise. True, contrasts between black and white were softened, and the shades of gray were grayer, but it all enhanced the movie's fairytale charm. Some people love their music, too, with such a romantic touch.